Philadephia, PA punk romantics Radiator Hospital have shared a video for “Nothing Nice,” the latest track from their first new album in 3 years, Play The Songs You Like. Billboard, who premiered the Nathan Stephens-Griffin-directed video today and interviewed the band’s Sam Cook-Parrott, are saying it’s “melancholic yet catchy.” Play The Songs You Like is available for pre-ordernow and due out on October 20th via Salinas Records. 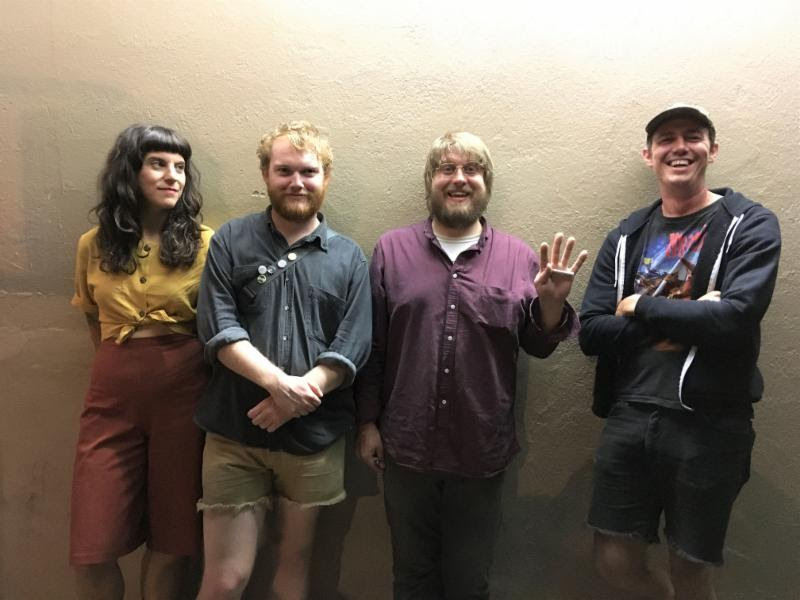 Radiator Hospital have also announced fall and winter tours that include dates with Vagabon, Cende and Outer Spaces. All dates below. 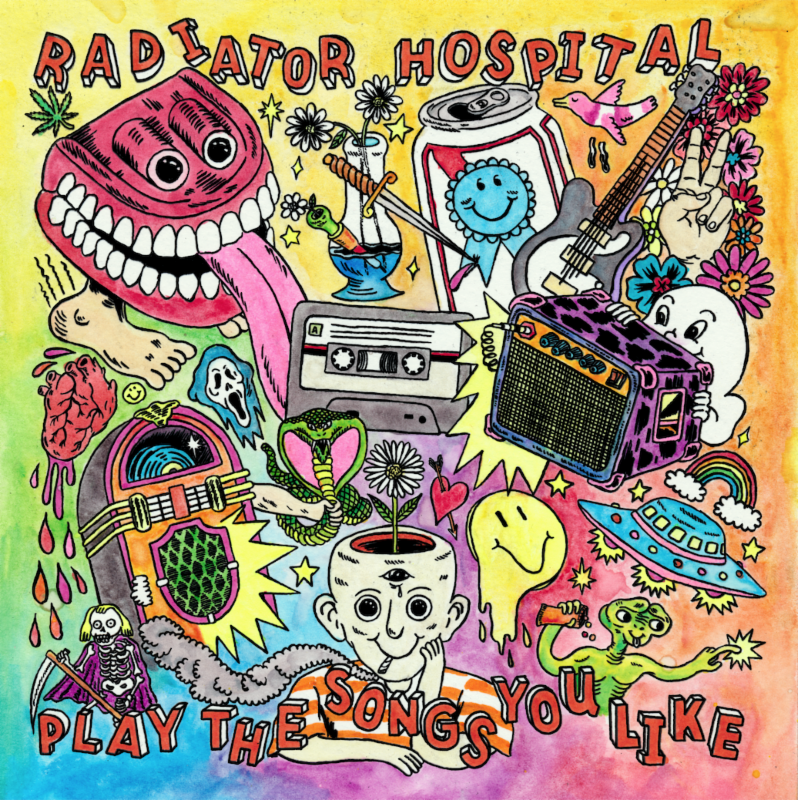 After a small mountain of tape releases, EPs and a couple more official albums, Philly punk romantics Radiator Hospital offer their most fully formed statement to date with new album Play The Songs You Like. Titles like “Pastoral Radio Hit”, “Long Distance Dedication” and “Dance Number” hint at a through-line of thought for the album, a collection of songs not only about how songs themselves affect our lives, but how the same song can mean wildly different things to different people and how that meaning can change over time. It’s fitting that this album observes how songs track major shifts and growth, as it marks a huge upward move for Radiator Hospital in terms of both production and collaboration. The band started as the solo vehicle for Sam Cook-Parrott’s lovelorn hissy bedroom recordings, and evolved slowly over the years into a hybrid of those lo-fi beginnings and an increasingly more stable full-band line up. Recorded by studio magician Jeff Zeigler (War On Drugs, Kurt Vile, Mary Lattimore), PTSYL features a completely locked-in Radiator Hospital projecting in high definition. Singer/guitarist Cook-Parrott, along with guitarist/singer Cynthia Schemmer, drummer Jeff Bolt and bassist Jon Rybicki rip through 16 melodic blasts of devotion, yearning, and reflection on the songs in the background that shape our worlds.